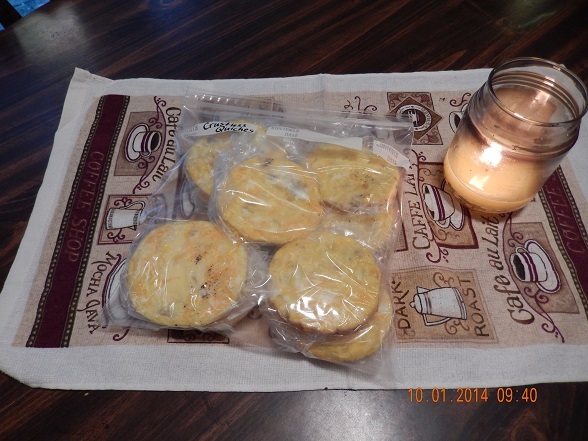 Karen sent in this story along with yummy food pictures of her efforts. I always love hearing how people make healthy food ahead of time to save money and energy when feeding their families well! Have a story to share about how you’re using our recipes? Send them to us, along with your pictures! 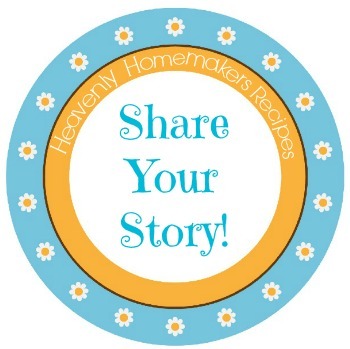 Our family loves so many of the recipes from Heavenly Homemakers and from Laura’s cookbook Oh, for Real. I’ve been inspired by Laura’s example to do Make Ahead Meals. What a huge timesaver! Here is what I did this morning to help tuck some breakfasts away for future use while at the same time serving breakfast for my family today. First I cooked up a pan of diced potatoes. Next I made up a big batch (one dozen) of Breakfast Crustless Quiches: using some of the cooked diced potatoes and some meat. Turkey Sausage Crumble works especially well in this recipe. . I used an extra large muffin pan. Next I made a big pan of Breakfast Burritos mixture but I switched out the meat option to some diced ham. The family then helped themselves to whatever they wanted for breakfast. The rest of the Crustless Quiches I put into sandwich bags and then into a freezer bag. Instead of making the full Breakfast Burrito as shown in Laura’s directions, I put 2/3 cup of the egg-potato-ham mixture in snack bags and we will assemble the breakfast burritos later individually – this works well for us. Those snack bags then went into a larger freezer bag and into the freezer. Both the frozen Breakfast Crustless Quiches and the bags of Breakfast Burrito mixture thaw out well in the refrigerator overnight (this just requires an ounce of pre-planning the night before!) These individual servings can then be warmed up in the toaster oven, a regular oven, or in the microwave. Besides serving my family breakfast this morning, I now have 19 breakfast servings stowed away in the freezer for busy days ahead. And I only have to wash the bowls & pans once for this fantastic yield! Awesome work, Karen! I haven’t made those Crustless Quiches for a while, but I’m encouraged to get that done. Such a great breakfast to pull out, warm up, and serve! My daughter has college classes that start at 7:45 in the morning. She loves the giant breakfast cookies. I make a batch every Sunday and she takes some to class with her each day. Luckily, there is enough for my boys to have some too! This weekend I made a batch of breakfast sandwiches – whole grain English muffins, cooked eggs, nitrate/nitrite free ham and cheese. I made seven or eight, so just wrapped in a paper towel and put in a container in the fridge. Just take one out of fridge and warm for 1 min in microwave in the morning – perfection! 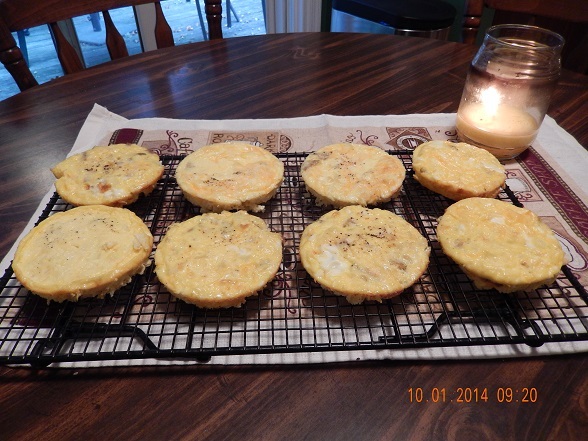 The quiches look delicious! Such a great make-ahead breakfast idea! I recently posted my recipe for easy, frugal freezer burritos, but I haven’t done much freezing of breakfast foods. Thanks so much for the inspiration, Karen and Laura. Those quiches look so good!